Yesterday was St. Patty's Day and I felt like getting into the spirit of the holiday by cooking something Irish. 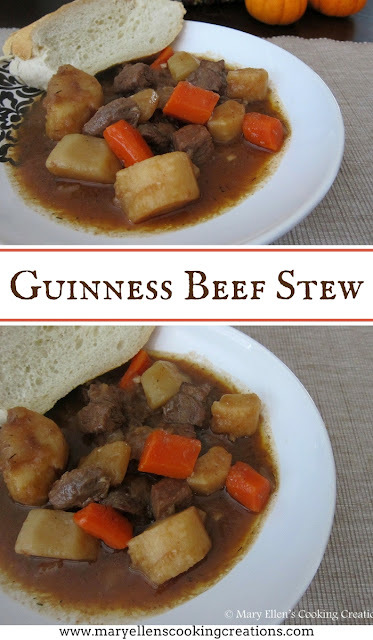 I don't know exactly how Irish this stew is...just because of the Guinness? Works for me! 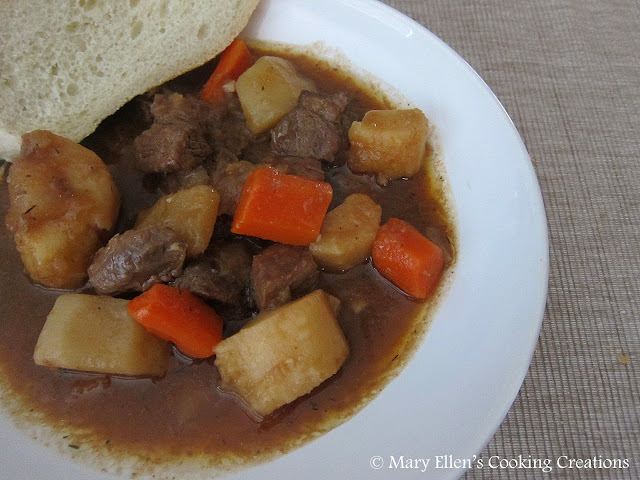 I looked at several recipes and decided to use this recipe for Beef and Guinness Stew as my inspiration. Add garlic and onions, saute 2 minutes. Add tomato paste mixture, cover and let simmer 5 minutes. Transfer beef to a large pot or Dutch oven. Pour half of the Guinness into the saute pan where the beef cooked. Scrape up any brown bits and bring to a steady simmer for 5 minutes. Pour Guinness from the saute pan and the rest of the Guinness over the beef. Add carrots, celery, potatoes, turnips, parsnips, thyme, and broth. Stir and adjust seasonings. Cover and cook over medium-low heat (just at a nice simmer) for 1 hour 15 minutes, stirring every 20 minutes or so. Adjust salt and pepper, and simmer partly uncovered for at least another hour. Adjust salt and pepper and serve. Jon said he liked this better than the really good beef stew with herbed dumplings I made on New Year's Day. I'd rate them as equally good. They were both hearty and delicious, but this Guinness stew had a richer taste and a good kick from the cayenne. 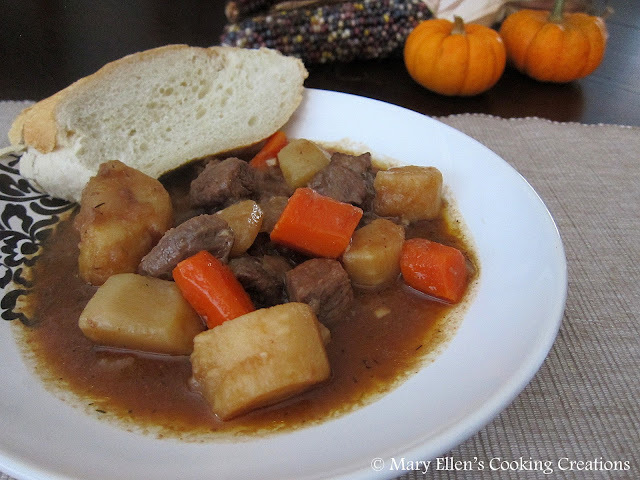 This stew isn't just for St. Patty's day - I'll be making this one again soon before the weather turns too warm! I LOVE Guinness anything. Hubby has been asking for stew...I'll give this a try. It looks great!